the Obo Effanga, Resident Electoral Commissioner (REC). 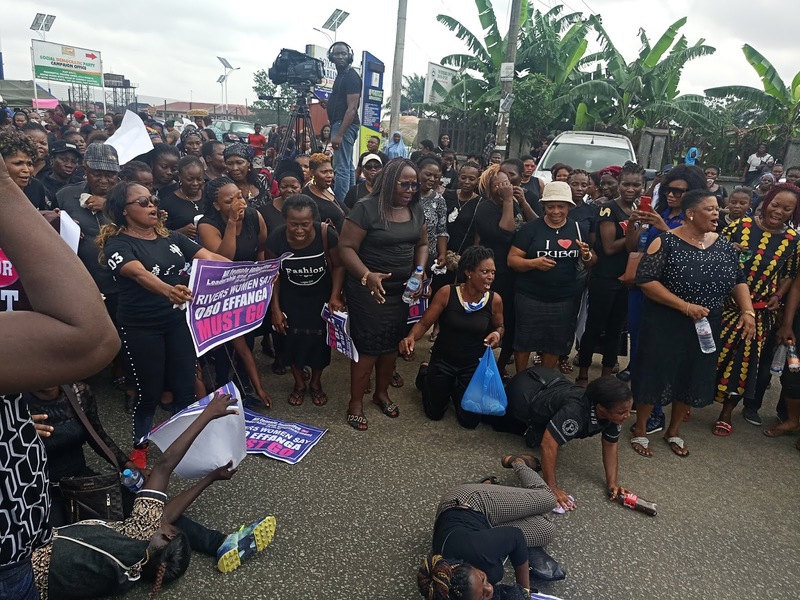 The protesters, dressed in black and drawn from the 23 local government areas of the state, said his continued stay in the state was breeding tension and possible breakdown of law and order. 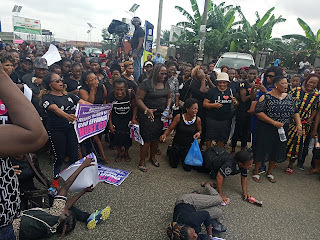 Carrying placards with various inscriptions, the women threatened that if in the next 48 hours, Professor Mahmood Yakubu, the National Chairman of the Independent National Electoral Commission (INEC), fails to heed to their demand, they would storm INEC’s Port Harcourt head office naked. Protests for and against the INEC REC have intensified in Rivers State in the last three days, with pro-government demonstrators asking that Effanga be retained in the state, whereas the anti-Effanga protesters want his removal, accusing him of compromising the outcome of the March 9 governorship and state house of assembly elections in the state to favour Nyesom Wike, incumbent Governor of Rivers State. The women are not alone in the call for the removal of Effanga, as some governorship candidates have joined the call. 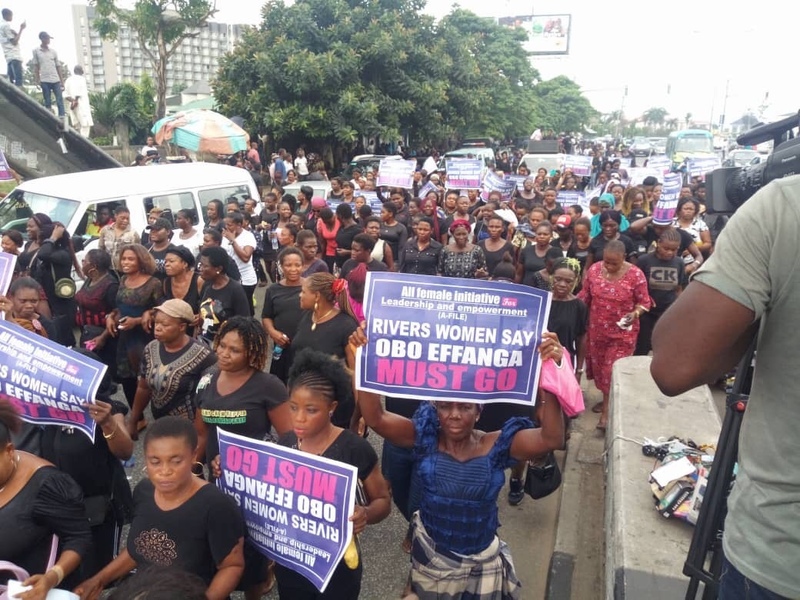 In a recent article he wrote and circulated, Tonye Cole, the governorship candidate of the All Progressives Congress (APC), said only the redeployment of Effanga would guarantee conducive atmosphere for free and fair elections in Rivers State. 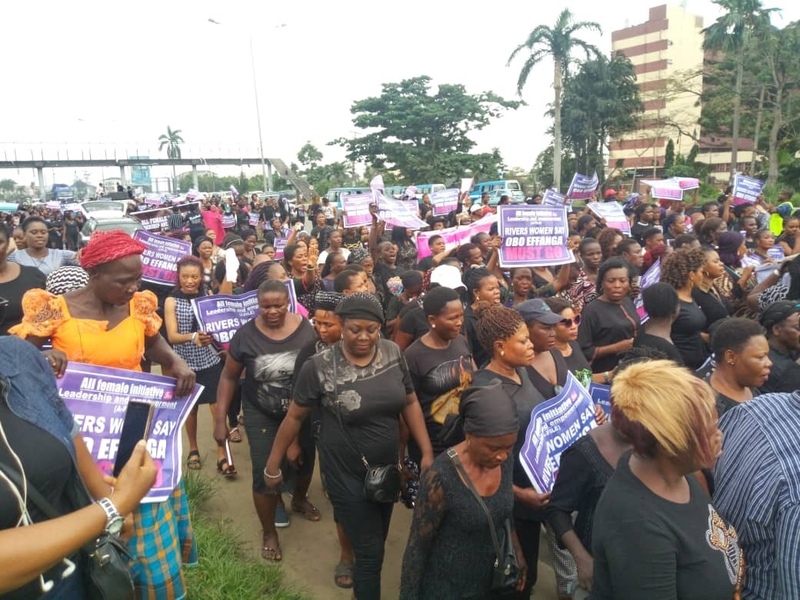 He called for the outright cancellation of the polls, just as he re-echoed earlier calls by Dumo Lulu-Briggs, the Accord Party candidate, who had described the entire exercise as a “charade”, and Victor Fingesi of the Action Democratic Party (ADP), who said INEC planned the polls to fail.